Judy Blazer began her career as a young singer in opera, oratorio, and recital in New York City and throughout Italy. She moved into Broadway theater with leading roles in Me and My Girl (Sally), A Change in the Heir (Prince Conrad), Titanic (Lady Caroline), Neil Simon’s 45 Seconds from Broadway (Cindy) and a major role in LoveMusik (Brecht’s mistress), directed by Harold Prince. In 2015, Judy took on the role of Miss Shingle in the Tony-winning production of A Gentleman's Guide to Love and Murder. 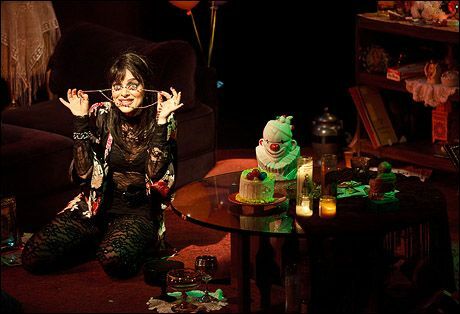 Off-Broadway, she has appeared in Candide (the Old Lady) and Sweeney Todd (the Beggar Woman) with the New York City Opera, Hello Again (as the Nurse, for which she received a Drama Desk nomination) and The House of Bernarda Alba (Magdalena) for the Lincoln Center Theater, The Torch Bearers (Florence) for the Drama Department, Richard Greenberg’s Hurrah at Last (Gia) at the Roundabout Theater and the New York City Center Encores production of A Connecticut Yankee (Alice/Sandy). She also performed a solo piece for Primary Stage’s Inner Voices series, David Simpatico and Josh Schmidt's Whida Peru: Resurrection Tangle, directed by Jonathan Butterell. In regional theatre, Judy has played the title roles in Funny Girl at the Sundance Theater, The Miracle Worker at the George Street Playhouse, My Fair Lady at the Paper Mill Playhouse, the Pittsburgh CLO and the 5th Avenue Theater in Seattle, Peter Pan at Artpark and The Night Governess at the McCarter Theater in Princeton. 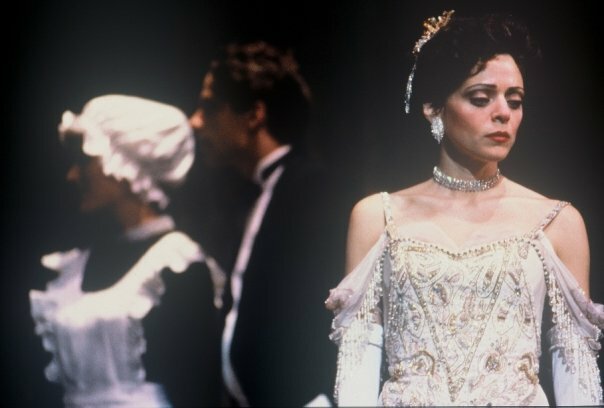 She portrayed Luz in Giant at the Signature Theater in Washington, DC, Lily Garland in On the Twentieth Century with the American Musical Theater of San Jose, Maria in Twelfth Night at the Long Wharf Theater in New Haven and Flora in No Way to Treat a Lady at the Cape Playhouse. In the Spring and Summer of 2012 she took on the role of Vera in the Goodspeed production of Mame; in 2013, the role of the fiery Maria Merelli in the Paper Mill Playhouse and Bay Street Theater productions of Lend Me a Tenor, and in 2014, Joanne in the Pittsburgh Public Theatre production of Stephen Sondheim's Company. In 2017, Judy reprised her role of Maria Merelli in the Paper Mill Playhouse production of Ken Ludwig's A Comedy of Tenors. Judy has sung at the Metropolitan Opera as a soloist in Twyla Tharp’s Everlast with the American Ballet Theater and has performed in concert at Lincoln Center and the Public Theater in New York. 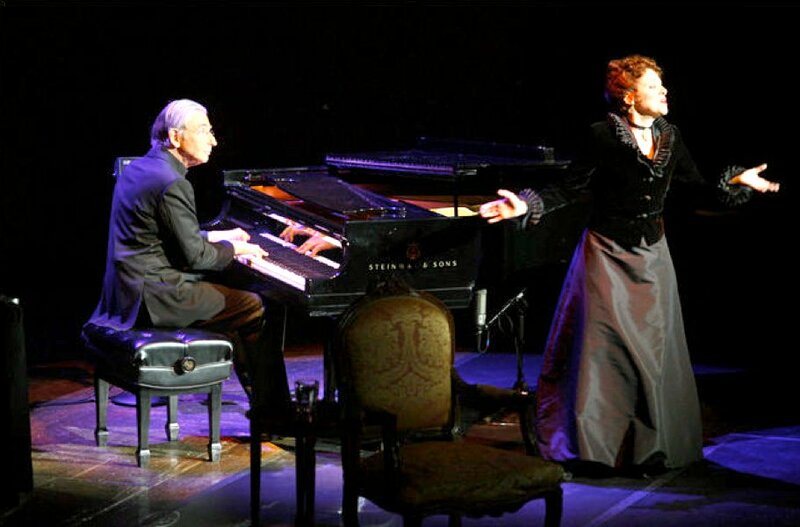 Since 2004 she has starred as Bessie Thomashefsky in Michael Tilson Thomas’s touring concert documentary The Thomashefskys, which has been performed with the New World Symphony, the Chicago Symphony, the Los Angeles Symphony, the San Francisco Symphony, the Boston Symphony at Tanglewood and the New York Philharmonic. She has been a guest on the recordings of Mandy Patinkin and the celebrated violinist Nadja Salerno-Sonnenberg as well as a featured artist on over twenty recordings of varied genres. Judy's film credits include song and voice characterizations for the animated films Anastasia (1997), Beauty and the Beast: The Enchanted Christmas (1997), and Buster and Chauncey's Silent Night (1998), the latter with songs by Lynn Ahrens and Stephen Flaherty. She also played a major role (Chris) in Shelly Silver's critically acclaimed art film, The Houses that Are Left (1989). On television, Judy has been seen in Law and Order (both as Defense Attorney Simon and as convicted murderer Clara Porazzi), As the World Turns (Ariel), Guiding Light (Marissa), and as a featured artist on three PBS specials: Leonard Bernstein’s New York, In Performance at the White House, and - in March 2012 - Great Performances: The Thomashefskys. Bi-lingual in Italian and English, Judy has sung and coached in several languages. She wrote the Italian lyrics to Fabrizio's song in Adam Guettel's The Light in the Piazza as well as finalizing all the Italian dialogue in the published book and lyrics. While playing Maria in the Long Wharf Theater's production of Twelfth Night (set in Ischia), Judy also worked as the show's Italian coach and dramaturg; and, in 2013, she was the Italian dialect coach for both the Paper Mill Playhouse's and the Bay Street Theatre's productions of Lend Me a Tenor. Most recently, while reprising the role of Maria Merelli in the Paper Mill production of the sequel, A Comedy of Tenors (2017), Judy served once again as Italian and general dialect coach for the production.